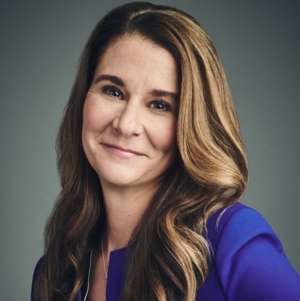 Ranked by Forbes as the third most powerful woman in the world, Melinda Gates has been on a 20-year mission to solve some of the world’s most pressing problems. Through her work as co-chair of the Bill & Melinda Gates Foundation—the world’s largest philanthropic organization— one thing has become increasingly clear to her: If you want to lift a society up, invest in women. In The Moment of Lift, the former Microsoft executive introduces us to her heroes in the movement towards equality, offers startling data, shares moving conversations she’s had with women from all over the world―and shows how we can all get involved. A pre-signed book is included with your ticket purchase. There will not be a signing after the event. John Green is the #1 New York Times bestselling author of six books, including The Fault in Our Stars and Turtles All the Way Down . His books have been published in more than 55 languages, and adapted for popular feature films.